If you read my post last week on planning your writing, you are hopefully now turn out emails, letters and blog posts with no problems. Or at least, fewer problems. But writing is the just the first step. Your first draft may be okay. The more you planned it, the more okay it will be. The more you practise, the more okay it will be. But even professional writers - especially professional writers - edit their writing. That is, they rewrite it with the aim of improving it, rather than adding to it. Make it shorter I’m guessing that if you’re reading this, you’re writing for business, not for pleasure. So you’ll be aiming to achieve the result you want in the fewest possible words. You may even have a specific length you need to stick to. If you’re asked to write a guest blog for someone else’s site, for instance, you may have a word limit. Even if it’s your own site, you’ll want to keep it short. I know that many readers of this blog tend to lose interest in an article less than half way down. Make it clearer Shorter is often also clearer. Your readers don’t have much time. Make it easy on them. Give them as few words to read as possible, and make those words simple to read. Cut out complicated paragraphs and rambling sentences. Avoid long words. Make it accurate Check your spelling and grammar, obviously. If you’re writing for your business, the last thing you want is to look slapdash or dumb. Apps like the ones I’ve suggested below are great at fixing most of these issues, but will never be perfect. If you type ‘filed’ instead of ‘field’ then your word processor won’t notice. Your human readers will. You also need to get your details and facts right. If you’ve mentioned people or companies, have you spelled their names right? If you’ve quoted statistics, are they correct and can readers check them? Are there any legal issues you need to be aware of? For instance, if I use an affiliate link in a blog post, I need to include a note to that effect. I recommend creating a pre-publication checklist specific to the type of things you write. To edit my writing, here are my favourite time savers. This online editor helps me write less, and more clearly. Paste in your text, and the app highlights sentences that are hard (yellow) or very hard (red) to read. It’s rather satisfying, fiddling about with each sentence until the colour coding disappears. Complicated words turn purple. If you hover over them the app suggests a simpler alternative. Adverbs are blue. Nothing wrong with them, but if you can find a different verb it can make your writing more exciting. Think ‘he sped’ or ‘he dashed’ instead of ‘he ran quickly’. Passive voice turns green. It's not wrong, but over-using it can make your writing sound impersonal and a bit feeble. You see it used a lot in corporate internal emails, to dodge responsibility. ”It has been decided that…the corporate policy has been updated to…” etc. The app gives you a readability score - the simpler, the better - and a word count. Lots of other stats are available in a dropdown menu, including an estimate of reading time. If you find it hard to cut your own text, check how much of your customers’ or employees’ time you are taking. It might be a useful motivator. Hemingway is free to use on the web, and $9.99 for the desktop app (Mac or Windows) - useful if you like to work offline. This Chrome extension helps me write more accurately. Once installed, it checks pretty much everything you write in your web browser, from Gmail to blog posts. You can tell it’s working when a small green dot starts whizzing round in the bottom right corner of your editing window. When it turns red, there are errors you need to fix. If you hover over the dot, it tells you how many errors there are, and lets you open the Grammarly editor to fix them all in one go. It also works as you type, underlining words and phrases it isn’t happy with. Hover over the underlinings to see suggested changes. You can apply some suggestions with one click. For others, you need to open the Grammarly editor or make the change yourself. You can add new words to its dictionary or ignore suggestions you don’t like. One thing you can’t do is set grammar preferences. For instance, Grammarly flags up missing Oxford commas even though the Grammarly blog highlights that it’s not essential. It would be nice, where there is more than one ‘right way’, if you could set which way you wanted Grammarly to go. But I forgive it that, because it’s just so quick to catch errors and correct them. And it’s free! You can upgrade to get more sophisticated checking, and a plugin for MS Office, if you use Windows. For the rest of us, you can check longer documents, also for free, by uploading them to Grammarly. Grammarly* is free to install, with monthly, quarterly and annual upgrade plans available. Paste and match style. Great for moving text from an editor into a layout tool without messing up the format. For instance, from Hemingway to the Squarespace editor. Word and character count. For quick checks on length anywhere, it counts just the text you’ve highlighted. If you’re composing 20 tweets in one Evernote, this is very useful. Case-switching. Quickly switch from sentence case to Title Case and back again. Useful for fixing US-style headlines that you’ve copied in. You can customise PopClip with loads of add-ons to make it just right for you. PopClip is Mac only, $6.99, free trial available. Good old fashioned replace, available in pretty much every editing tool that has a find feature, is a handy addition to your toolbox. I use it regularly to fix excess spaces between sentences. Search for full-stop-double-space, and replace with full-stop-single-space. Keep repeating until it can’t find any more double spaces. I recently found this article about using it to fix over-used words. How to semi automate the editing process on justinmclachlan.com. 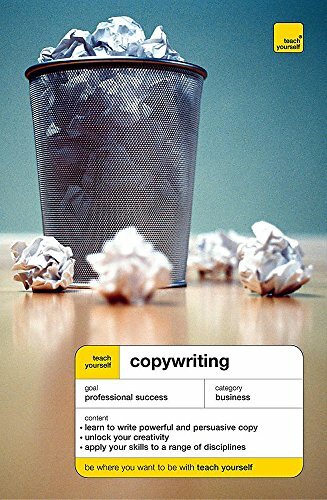 Teach yourself copywriting is a good basic introduction to writing as marketing, aimed at complete beginners and full of editing tips to make your copy more effective. 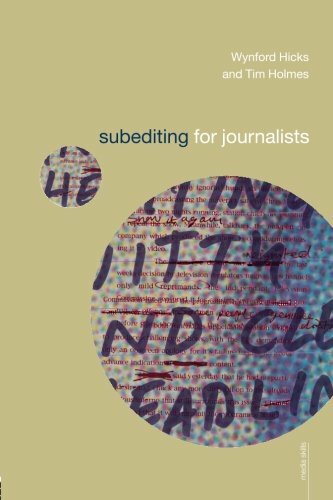 Sub editing for journalists goes a lot deeper on things like accuracy and fact checking. Several major news outlets publish style guides, including the Guardian, the Times and the Telegraph. I find the Guardian is more modern than other news outlets. 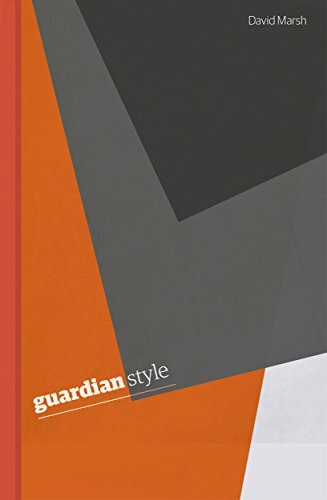 You can browse the Guardian Style Guide online. *This post contains affiliate links. I earn a small commission from registrations and purchases via these links, at no cost to you. I only use affiliate links for products and services that I have used myself and would recommend to a friend.